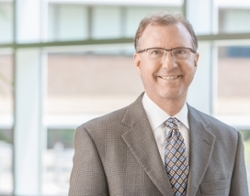 UNMC › Radiology › Faculty › David Poage, M.D. Compact white matter pathways: correlation of T2-weighted imaging with diffusion-tensor imaging tractography. Matthew L. White, MD, Yan Zhang, MD, Jason T. Helvey, MD, David M. Penn, MD, David P. Poage, MD, Matthew F. Omojola, MD. Poage DP: Absence of chemical shift artifact on coronal T1-weighted MR images of the knee: An undescribed finding seen in osteochondral images of the knee in 12 patients. Amer J Radiology 171:1521-23, 1998. Kalil AC, Devetten MP, Singh S, Lesiak B, Poage DP, Bargenquast K, Fayad P, Freifeld AG: Use of interferon-alpha in patients with West Nile encephalitis: report of 2 cases. Clin Infect Dis. 40(5):764-6, March 2005. Toubes-Klingler E, Prabhu V, Bernal K, Poage D, and Swindells S: Malakoplakia of the cranium and cerebrum in an HIV infected man. Case report and discussion. J Neurosurg 104:432-435, 2006. Robey AB, O’Brien EK, Richardson BE, Baker JJ, Poage DP, Leopold DA, The Changing Face of Paranasal Sinus Fungus Balls. Annals of Otology, Rhinology, and Laryngology 118(7):500-505, 2009.